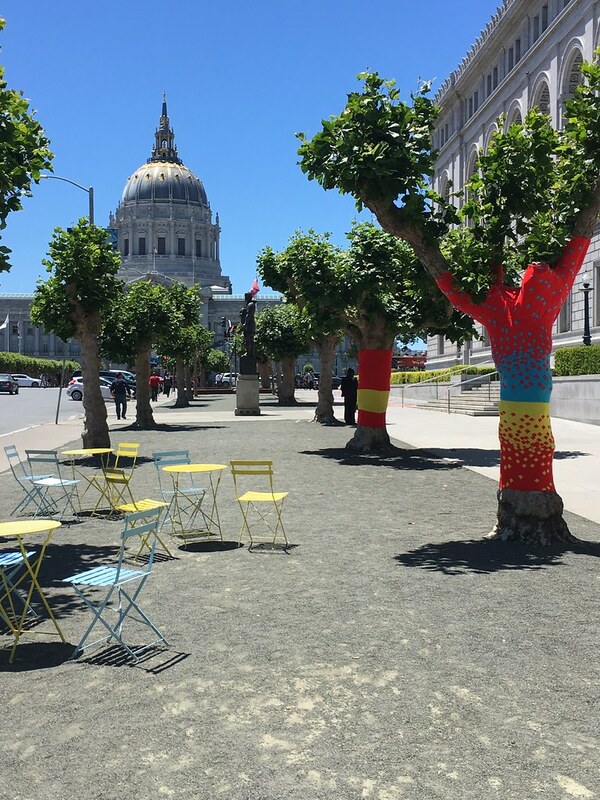 Knitting the Commons is a temporary art project that aims to ‘knit’ together San Francisco's central public spaces - Civic Center Plaza, UN Plaza, and Fulton Street between the Main Library and the Asian Art Museum - referred to as "the Commons". 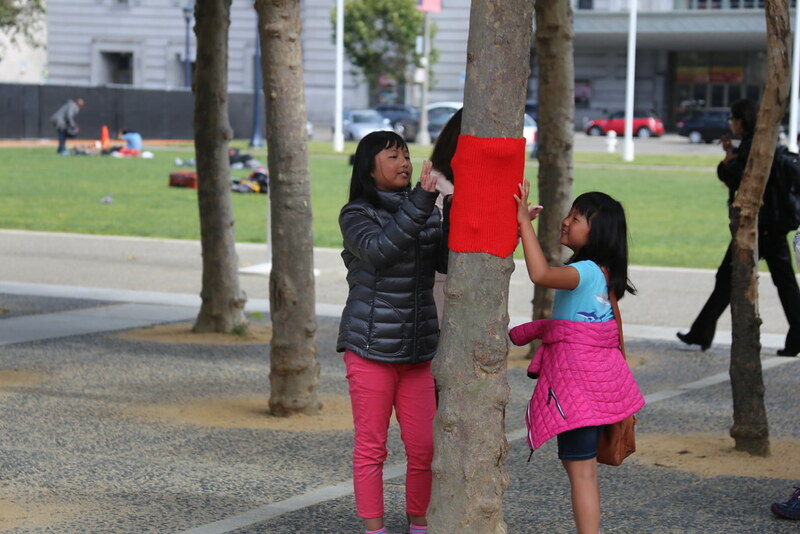 Working closely with Civic Center stakeholders, The Trust for Public Land and Knits for Life (an art-sister-duo) developed a tree-wrapping art installation to help unite the Commons with playful, visual elements. 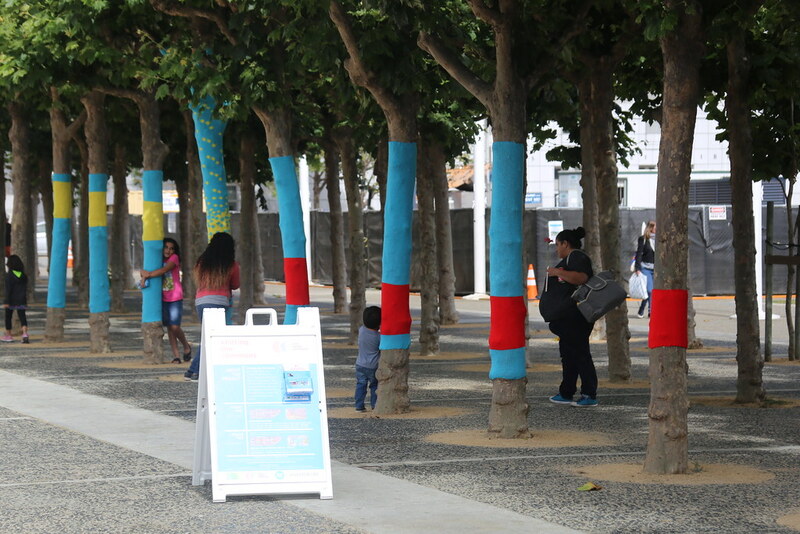 Knits for Life is leading the design and installation with input from the community. “Thread” was installed in June 2017. 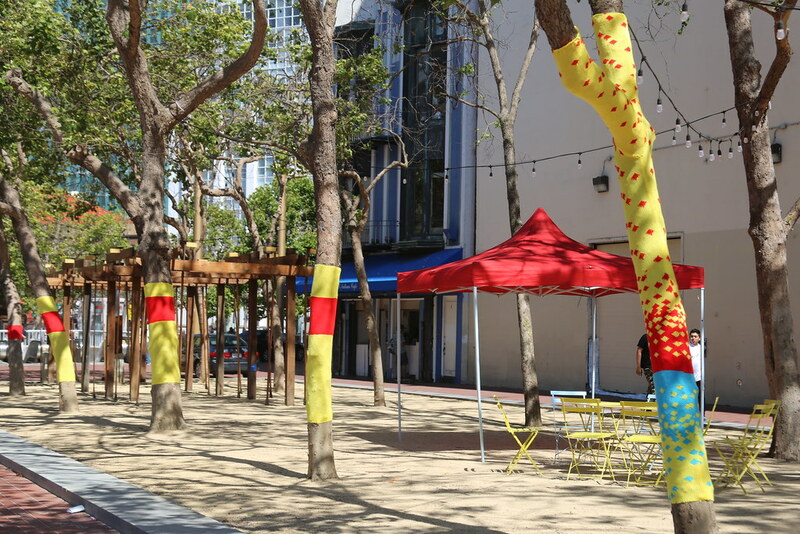 Consisting of brightly colored bands (yellow, red and blue – Civic Center Commons colors) the intention of these wraps was to visually connect the Commons. 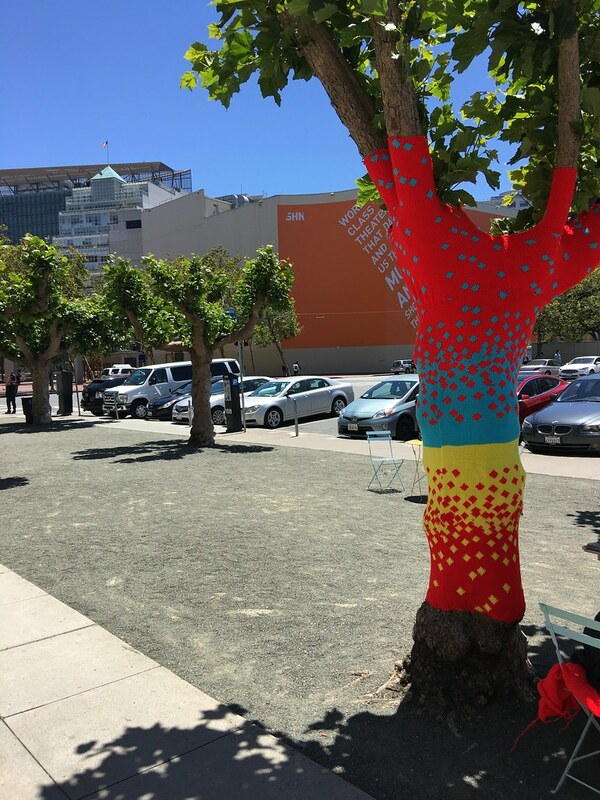 Starting in September 2017, Knits for Life installed the first clusters of Land, Sea and Air Creatures in trees throughout the Commons. 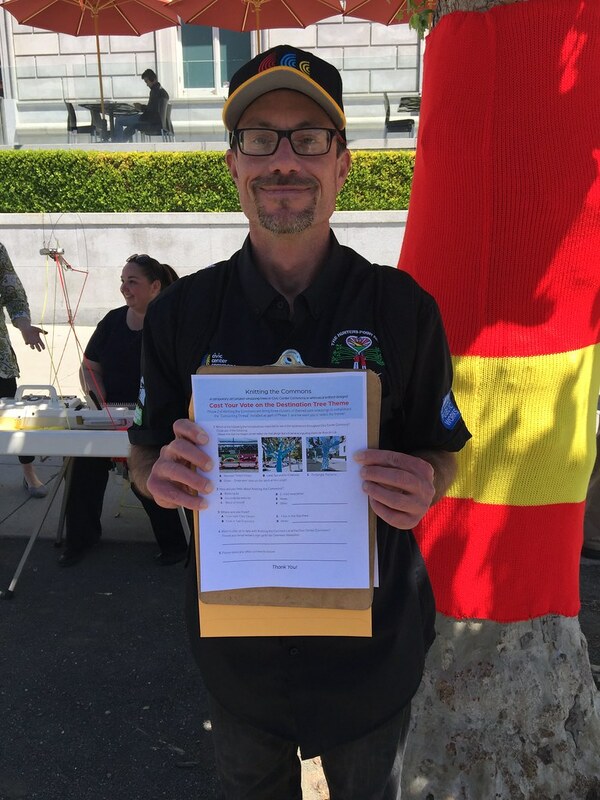 The theme was decided by the public through in person and online voting during the month of June. 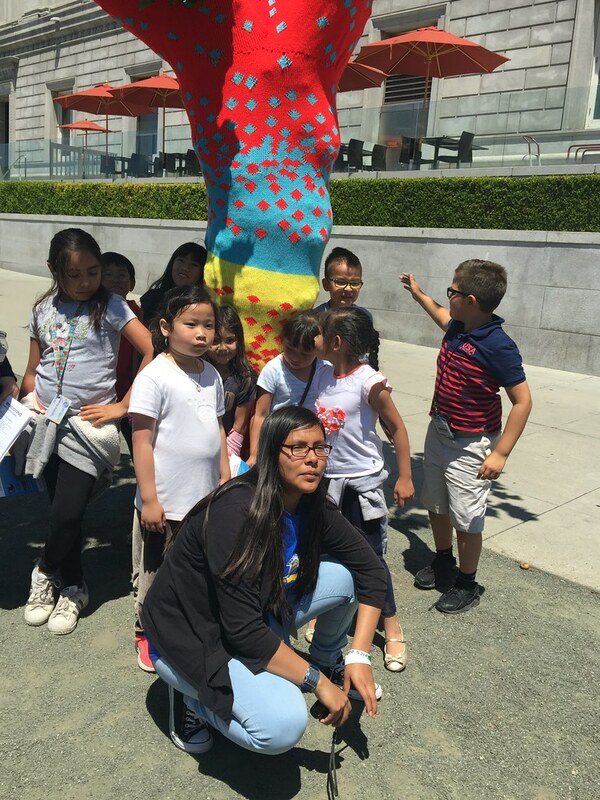 The first clusters consisted of giraffes in Civic Center Plaza, parrots on Fulton Street, and the pacific octopuses in UN Plaza. 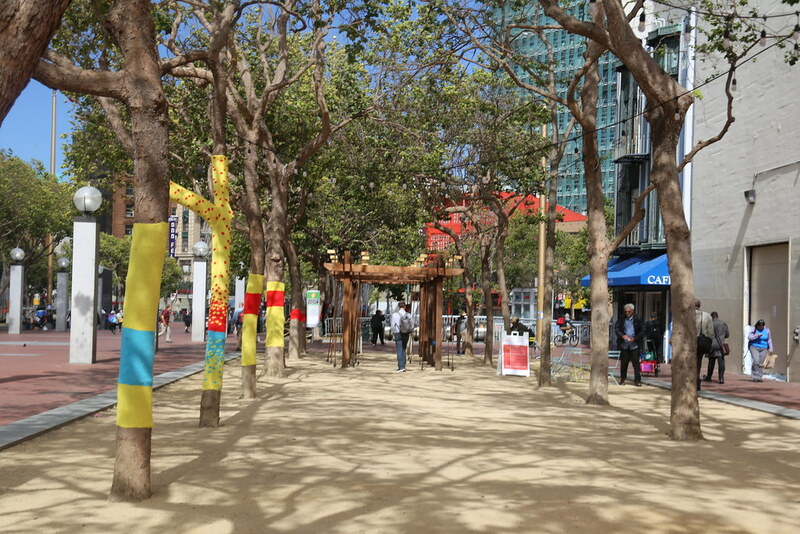 In February of 2018, Knits for Life artists returned to add new creature clusters to Civic Center Plaza to celebrate the grand opening of the Helen Diller Civic Center Playgrounds. 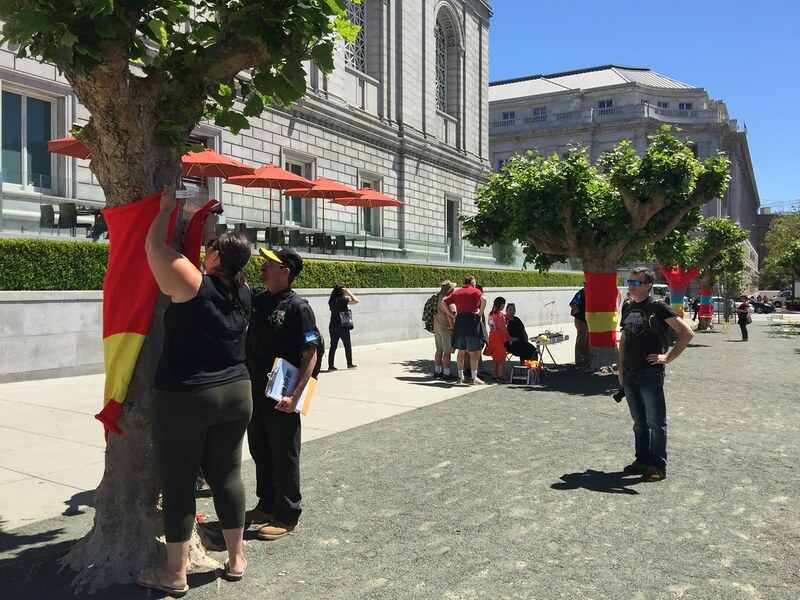 During this phase, chameleons and sea otters were added to Civic Center Plaza. 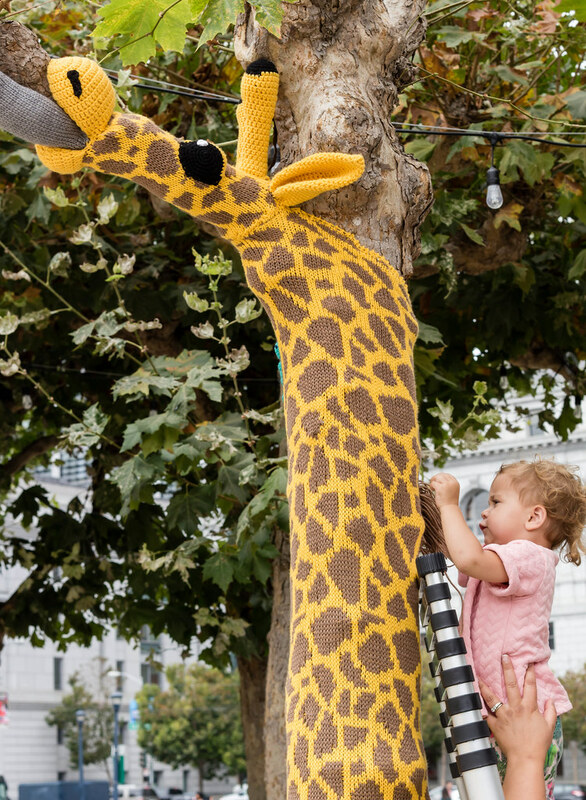 Knits for Life is currently installing a new set of animal clusters for 2019. 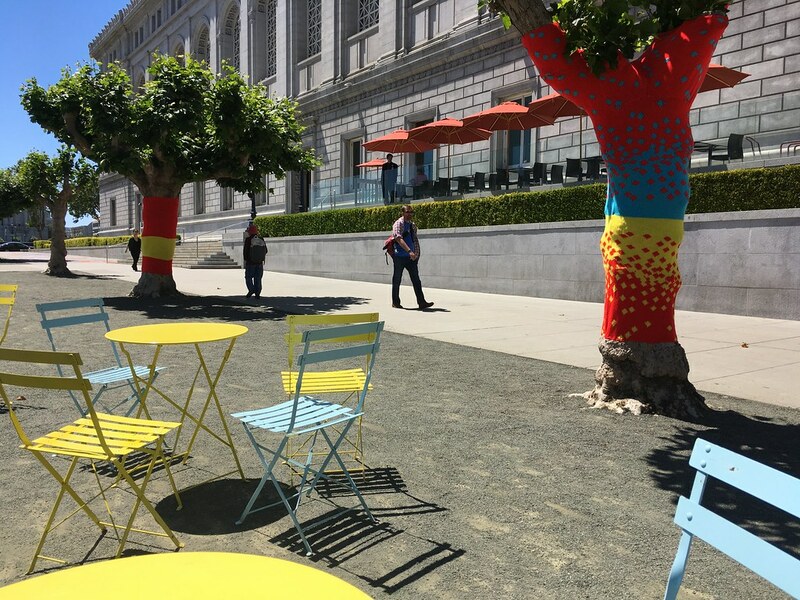 This February, look for Elephants in Civic Center Plaza and Parrots back on Fulton, with Flamingos coming soon to UN Plaza! 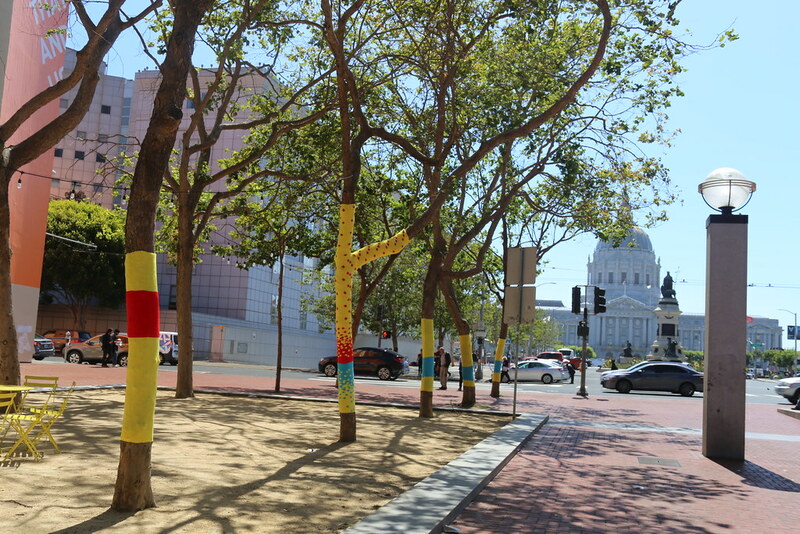 Civic Center Commons - Knitting the Commons from SF OEWD on Vimeo.